People who buy more books than they can possibly read can now use science to justify their spending sprees. As Pacific Standard reports, new research confirms that people who grow up with books at home tend to have higher reading comprehension and better mathematical and digital communication skills. But how many books is enough to make a difference? The magic number seems to be above 80, according to a team of researchers led by senior sociology lecturer Joanna Sikora of Australian National University. Those who had around 80 books at home tended to have average scores for literacy—defined as "the ability to read effectively to participate in society and achieve personal goals”—while owning fewer than 80 books was associated with below-average literacy. Literacy continued to improve as the number of books increased to about 350, at which point the literacy rates remained steady. Their findings are based on comprehensive surveys taken between 2011 and 2015 by the Programme for the International Assessment of Competencies. Respondents were between the ages of 25 and 65, and they came from 31 countries, including the U.S. and Canada. First, they were asked to estimate how many books they had at home when they were 16 years old. After racking their brains for a mental image of their childhood libraries, they were tested for reading comprehension, their understanding of common mathematical concepts, and their ability to use digital technology as a communication tool. The results showed a positive correlation between these skill sets and having books at home. 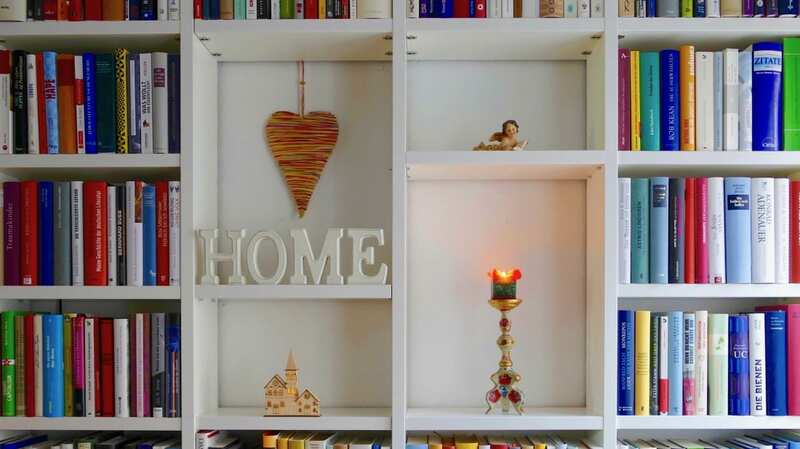 "Growing up with home libraries boosts adult skills in these areas beyond the benefits accrued from parental education, or [one's] own educational or occupational attainment," the researchers wrote in their paper, published in the journal Social Science Research.